If you need more information, please contact us directly, and we will be more than happy to help you! I have been doing photography all my life, and in my archives, I still have some of my first B&W images taken when my age was still in single digits! During my early college days, I took some time off, and for a couple of years, I worked as an apprentice under several photographers in the Philly area, and learned a great deal about the art and business of the industry. Over the years, I have watched the traditional film based photography slowly migrate to the digital era, and with the introduction of computers, a whole new evolution has taken place with a myriad of the possibilities. I have been using Adobe Lightroom since it was first introduced back in 2007. When I first started to use Lightroom, I was rather confused were it was going to fit into my digital workflow, but after reading, training and exploring, Lightroom has become an indispensable part of image tracking and publishing. If you have a large amount of photos and would like to organize them, please contact us. We can take your collection, classify and categorize, and then apply the appropriate meta data for future reference and sorting. If you need help with Lightroom or you would like to learn more about how to use this very powerful program, please feel free to contact us. We have been using Adobe Photoshop since it was first introduced back in 1990, and have been hooked ever since! Since then, we use it daily for a majority of our work, and are constantly amazed to see what others can and have done with this piece of software. If you need help with an image or idea that you have, or would like to learn more about how to use this very powerful program, please feel free to contact us. 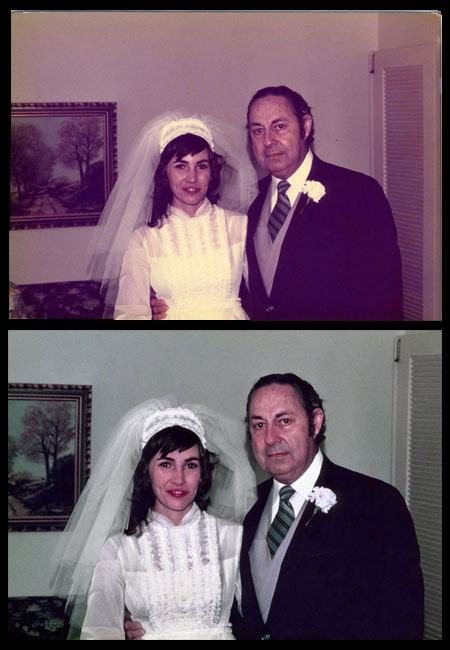 Many people have old prints of photos lying around their home or office, and would like to convert them to a digital files, so that they can more easily be reproduced and shared. We can take those hard copy prints, digitize them, correct any flaws, make repairs, and present you with revitalized “new” image that can be added your blog, website or image albums. Thank you for taking the time to visit our site, and if you have any questions, please feel free to contact us!